In the design of this exhibition, GRAS’s intention is that the visitor’s experience of the Scottish work should commence from the moment of entry into the room. Arriving into a darkened space, the visitor will encounter one long central mass displaying all the works of the individual exhibitors. The nature of this central volume embodies several of the concepts that GRAS wish to bring to the exhibition. The suspended lighting element allows for focussed lighting directly downwards onto the exhibited pieces and the pure white landscape on which they are positioned. 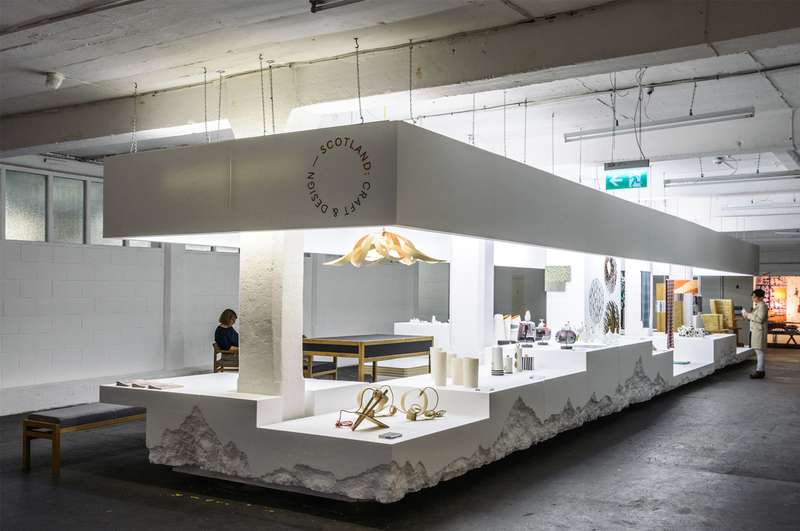 The effect is of a glowing nucleus to the room: an inevitable focus for the room’s visitors; a bold presentation of the exhibitors’ works; and a unifying element between the 22 individual Scottish Makers. 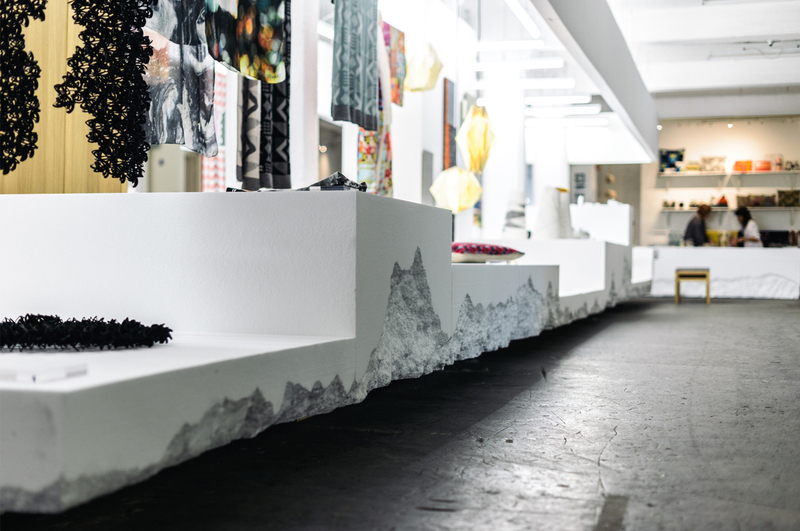 To balance this display of unity and capture each exhibitor’s uniqueness, the white landscape displaying the work undulates rhythmically allowing each artist their own platform: solitary and distinct. True to the collective spirit of this display, however, no one exhibitor is promoted above any other, offering the visitor an honest view of Scottish Makers without hierarchy. Beneath this faceted landscape, the ruggedness of Scotland’s terrain is captured in the sculpted finish towards the base of the mass. Despite the distinctive features of this volume, it is steadfastly subservient to the work of the exhibitors, serving only as a well curated backdrop. The mass forms a coherent focal point around which one can walk, allowing the visitor to engage with the exhibited pieces one by one, while simultaneously engaging with the entire collection. On this route, the visitors will have the chance to learn about the story of each piece’s making process and the maker responsible for it. 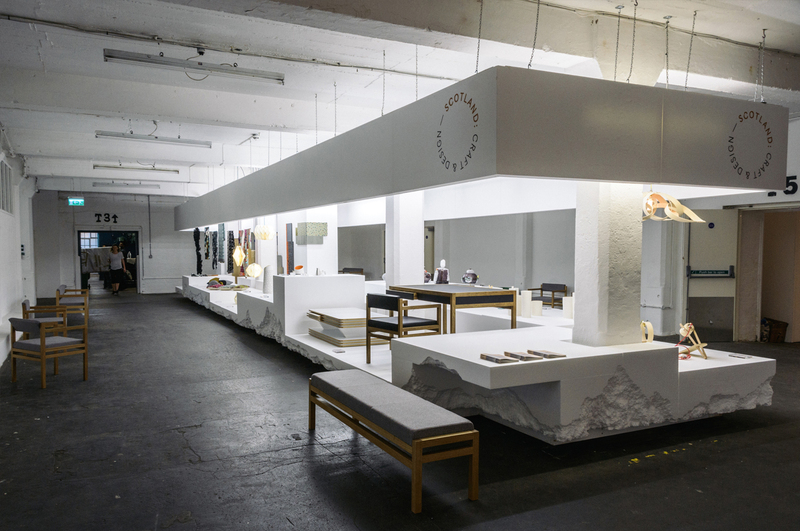 Visitors are then encouraged to stay and contemplate the exhibition from benches positioned around the edges of the room. Here they will also have the opportunity to meet the designers and learn more about their work. 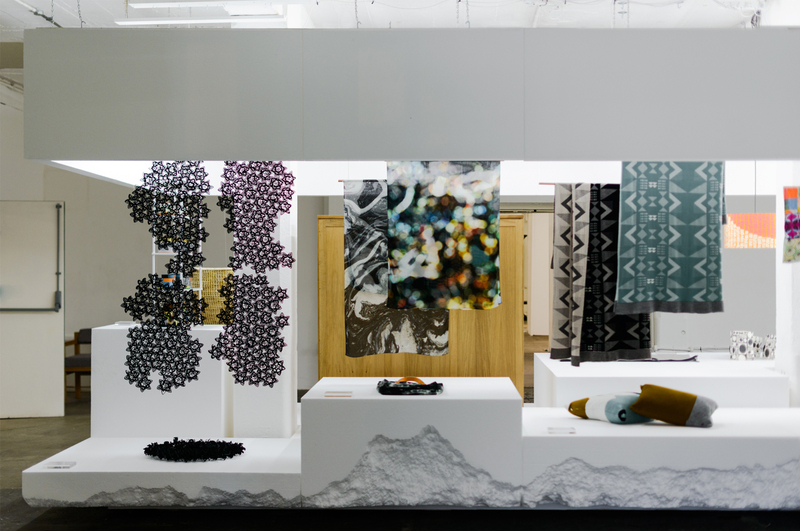 GRAS’s commitment to their designer/maker roots is endemic within this exhibition. The central landscaped mass upon which the works are displayed is made from large blocks of lightweight, readily available and recyclable polystyrene, demonstrating that a high quality gallery aesthetic can be achieved without great expense. The polystyrene will be worked by hand, transported and assembled by the GRAS team, fulfilling their passion for design innovation and making. Thereafter the exhibition will be carefully demounted to be re-used in future exhibitions elsewhere.